This is a project that I started a couple of years ago and I originally plan to make masters and cast them in resin. 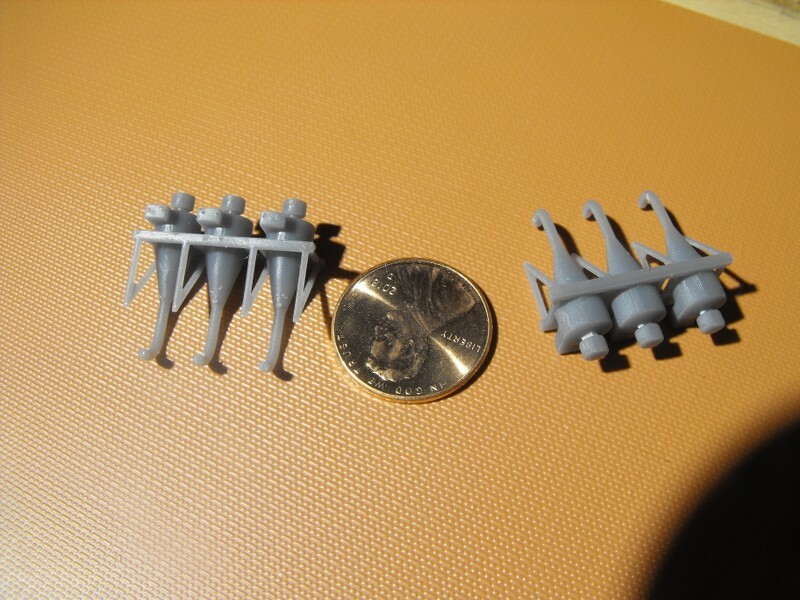 Now with the Photon, I can print them in several sizes. These are seen on grain elevators and wood processing plants among other places. The different sizes that I've done so far. Small, medium, and large for N scale. If they're for sale, let me know. Ditto. 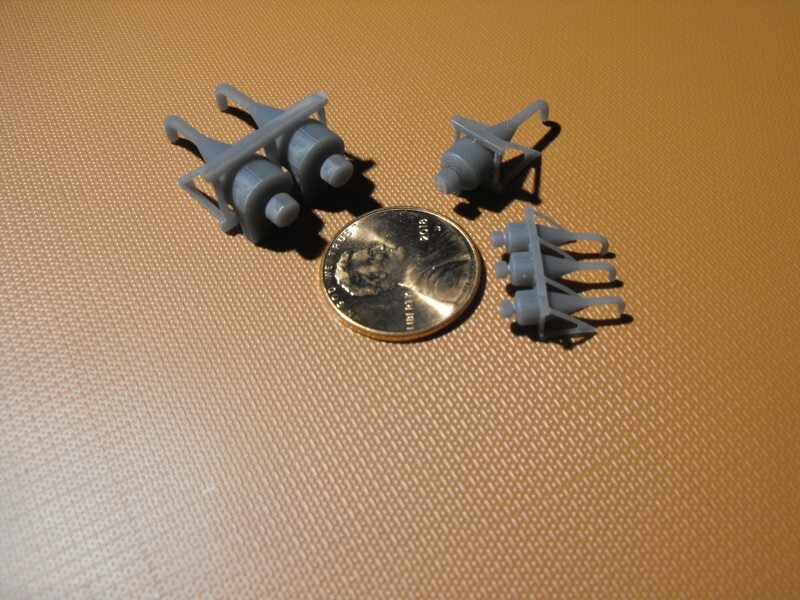 N scale needs a wider variety of dust management equipment. 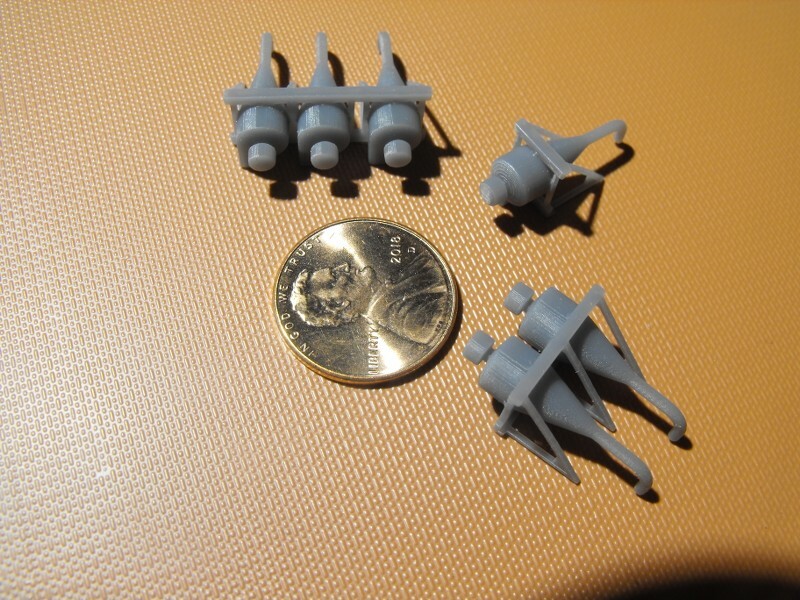 I've used the HO Rix kit to make some, though the cyclones IN that kit pack are freaking huge in N scale. Absolutely, I could use a few myself. Yes, they will be for sale soon. Working on packaging and distribution and will post when and where they will be available. Also need feedback on a more modern style dust collection like this one. I think these stared popping up around the mid to late 90's. 3. An Electro Static Precipitator, in this box there are a charged wires and oppositely charged plates. The smallest particles are taken out with this one. Any word on distribution of these collectors? Still working on it. It's taking a lot longer than I thought to get everything done. I'm working on getting a website done first, then I'll start sending them out to the vendors. Rodney sent me samples and they are impressive. I couldn't believe the Photon could print with so few striations and marks from layers of material on a curved surface. 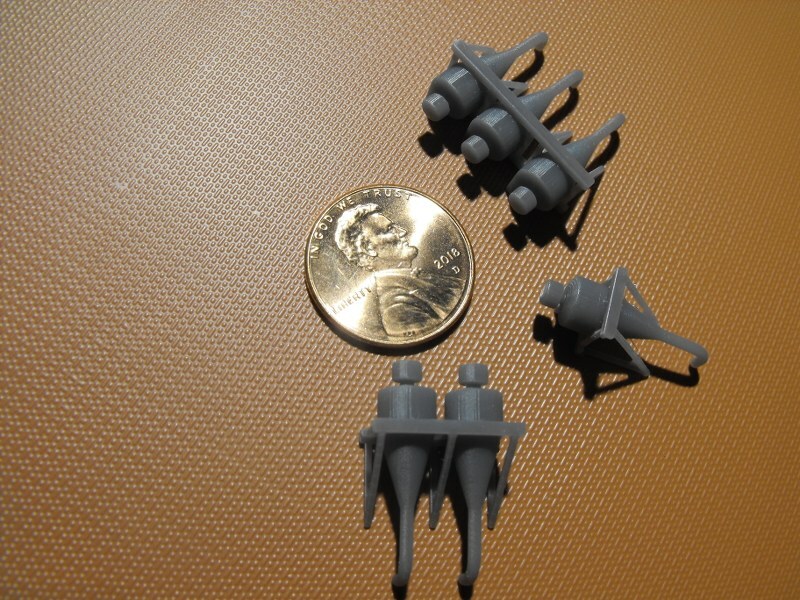 The print quality was much better than on similar products I've purchased from Shapeways vendors. I can corroborate this. Rodney sent me some samples and I was really impressed.